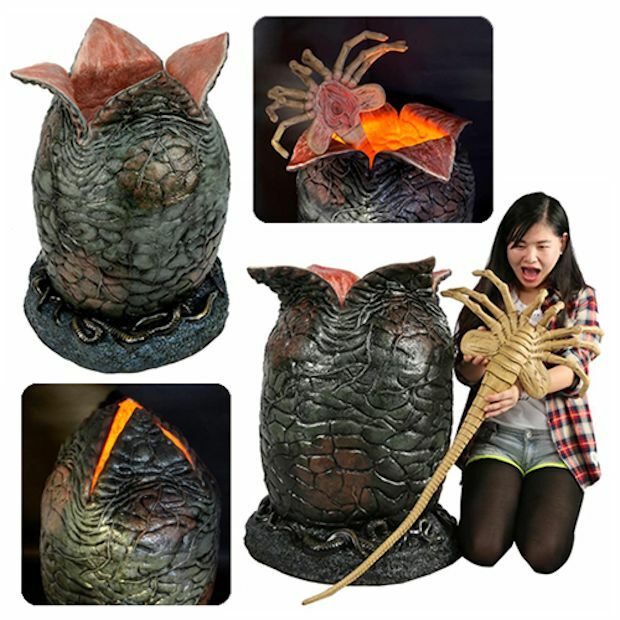 I don’t think there’s anything more terrifying that you can have in your home than this life-size Alien Egg and Facehugger Replica. It’s perfect for transforming any room into an Alien breeding ground. Despite the image here, I don’t think your young child is going to want to play with this. This full-sized replica stands almost 36-inches tall and even has articulated flaps with a wire armature which allows you to open the top folds of the egg. The facehugger has a bendable tail, so you can pose it, and the egg has a switch on the base that activates the LED lights to create an eerie glow. It is a horrifying replica set and I want one!